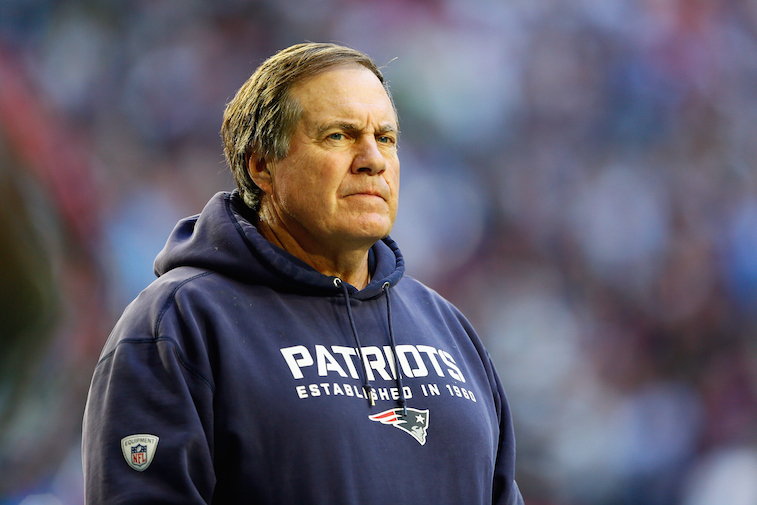 NFL: Who Will Be the First Head Coach to Be Fired in 2015? Coaching in the National Football League is the ultimate “what have you done for me lately” business. It’s not uncommon at all to see a coach with a Super Bowl title on his resume lose his job after a lackluster season. Likewise, it’s also not uncommon to see some of the game’s most successful regular season coaches face the chopping block at season’s end following disappointing postseason performances. With that being said, the pressure is on to win games and make postseason appearances in 2015 for all but a few current NFL head coaches. With the 2015 regular season just over two weeks away, the oddsmakers in Las Vegas, Nevada decided to release odds on who they believe will be the next NFL head coach to be fired. The 10 coaches that they believe have the most job security are a mixture of either established, highly successful coaches, or guys who are in their first or second years on the job. Here is a look at the Vegas odds on the 10 least likely coaches to be fired next. As you can see, the oddsmakers in Vegas are fairly confident that the aforementioned 10 coaches will not be fired anytime in the near future. On the flip side, they have also made it clear which coaches they believe are the most likely to be fired next. Here is a look at the five most likely NFL head coaches to be fired next. During Payton’s eight seasons as the head coach in New Orleans, the Saints have been one of the most successful franchises in the NFL. 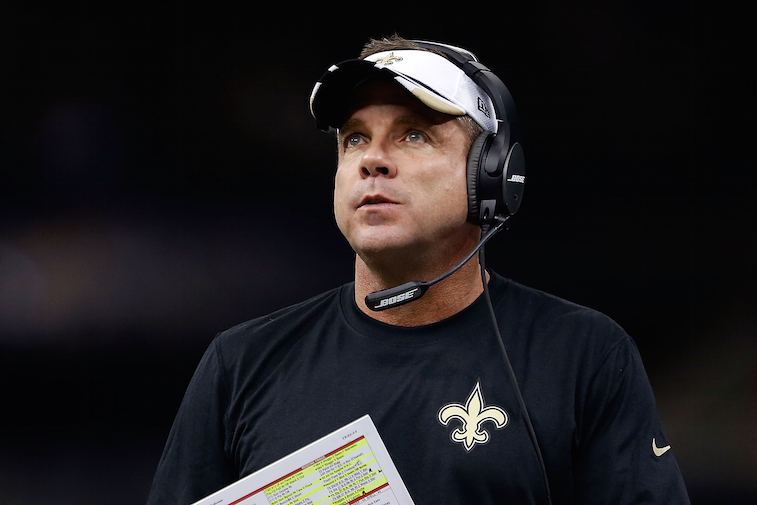 The high point for the Saints under Payton came in 2009, when he led them to a win in Super Bowl XLIV over the Indianapolis Colts, which leads us to believe that he won’t be getting fired anytime soon. That said, the team is coming off of a 7-9 season in addition to having several holes in their roster due to their salary cap issues. If the Saints have another season similar to their 2014 campaign, Payton will definitely be feeling the heat. 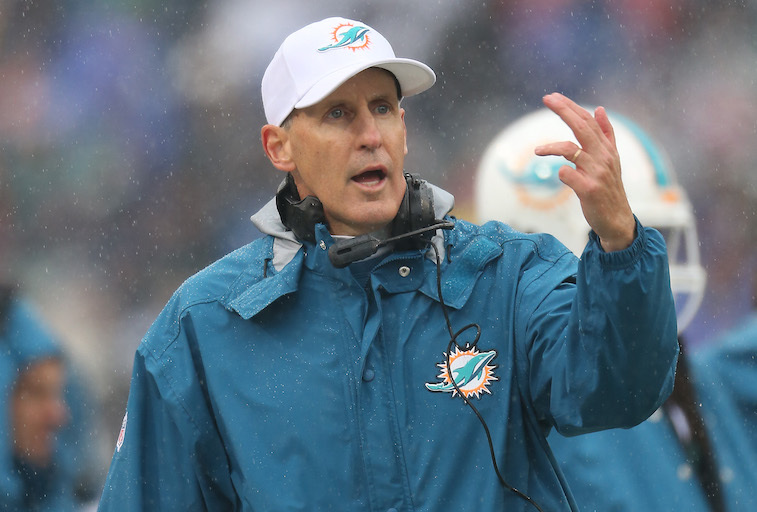 Philbin was firmly entrenched on the coaching hot seat even before the Dolphins’ spending spree this offseason. With the amount of money the franchise has invested into building a contender, Philbin likely needs to lead the team to the playoffs in 2015 in order to save his job. If they happen to be out of postseason contention before the last month of the season, Philbin will likely be fired before the regular season comes to an end. 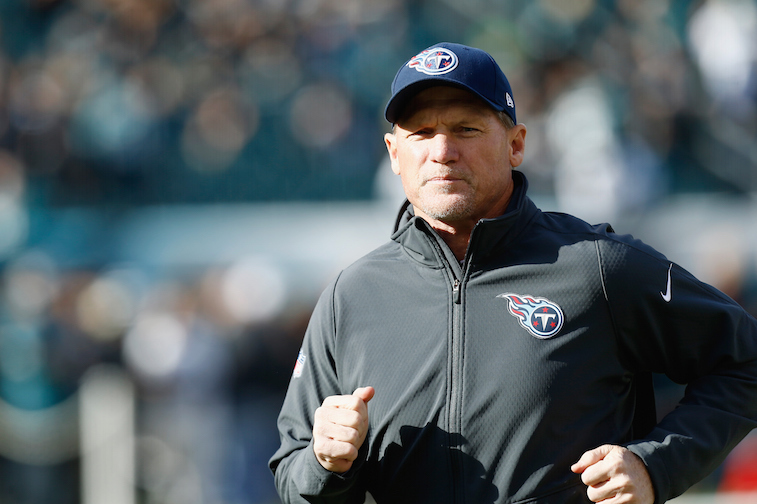 Whisenhunt’s tenure in Tennessee got off to a rough start. The 53-year-old head coach posted a 2-14 record in 2014, and the outlook for 2015 isn’t a whole lot better. They will likely be breaking in a rookie quarterback in Marcus Mariota, which should buy Whisenhunt more time on the job. However, if the team suffers blow out losses on a regular basis, we could easily see the Titans opting to fire Whisenhunt sometime during the season. The Browns have had a disastrous offseason. They lost wide receiver Josh Gordon to another suspension, and nobody really knows what to expect from either of their 2014 first round draft picks (quarterback Johnny Manziel and cornerback Justin Gilbert). All signs are pointing to a quarterback controversy in Cleveland after Manziel has turned in a couple of solid preseason performances, and history has shown that teams that go through these types of situations typically have up-and-down seasons. 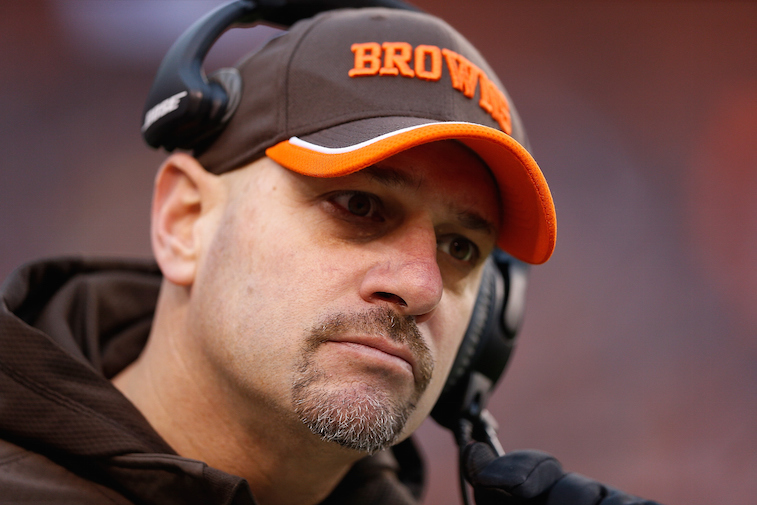 Pettine, who was a bit of a surprise hire last offseason, could ultimately end up being the fall guy if the Browns struggle again in 2015. 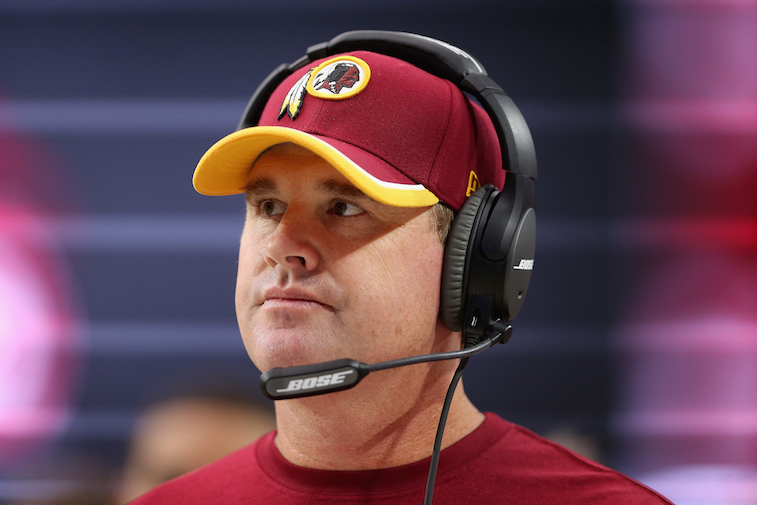 Gruden is learning first-hand just how hard it is to work for Redskins owner Dan Snyder. On top of that, he has to deal with the inconsistent play and off-field drama of quarterback Robert Griffin III. We can easily see why Vegas sees Gruden as the most likely coach to be fired next given that he seems to be at odds with the team’s ownership and that new General Manager Scot McCloughan has no ties to him. At this point his firing seems to be more of a when, not if, situation. All odds courtesy of Sportsbook.ag.